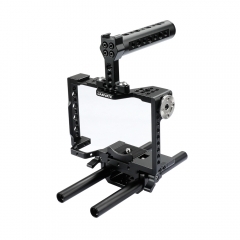 • Application -- This C-frame cage is designed to provide a protective armor and also a mounting platform mainly for Sony A7 series. • Top Handle -- This QR rubber handle is detachable, movable, thread-off proof and hand-tight, with a cold shoe mount and some 1/4"-20 thread holes. 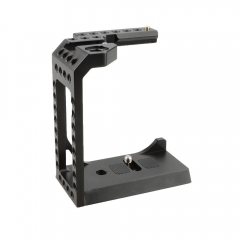 • Hot Shoe Mount -- There is a hot shoe mount based on top of the cage to connect standard shoe accessories. 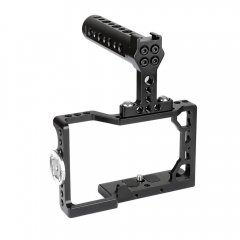 • QR Baseplate -- A quick and tool-less connection between the cage and rod system, it’s movable and hand-tight. 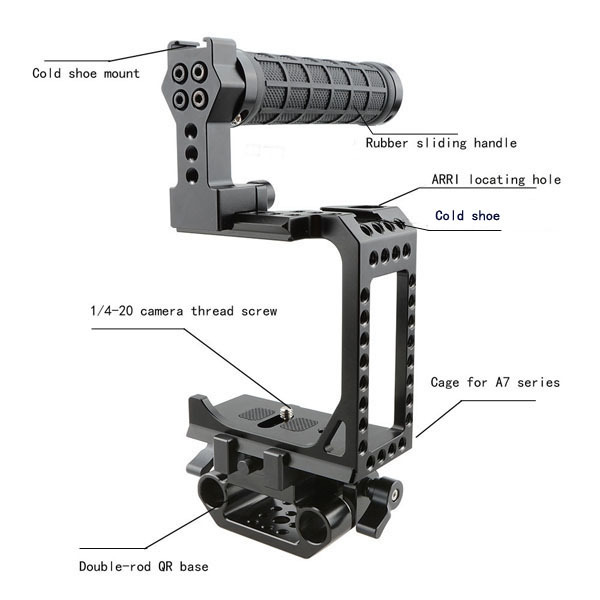 • Rod System -- It comes with 2-hole 15mm Rod Clamps, more devices can be attached onto the rods. 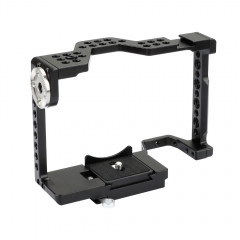 • ARRI Mount Hole -- There is an access to mount ARRI accessories via this hole. 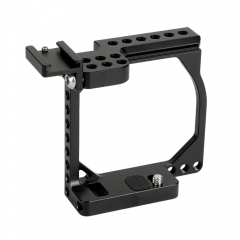 • Available height of the cage is 90mm. 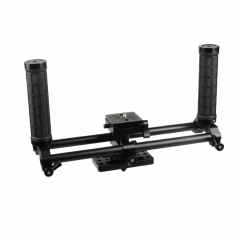 • It’s made of high quality aluminum alloy, CNC-milled. 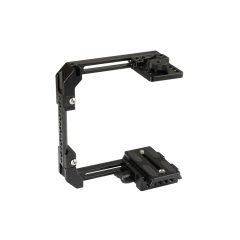 • Plenty of 1/4"-20 and 3/8"-16 mounting points for attaching accessories. 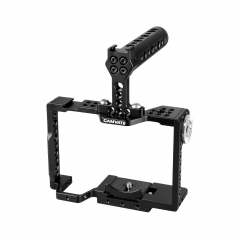 • This camera cage is compatible mainly with Sony A7 series: Sony A7s, A7RII, A7s2, A7sII, A7r3, A73, Sony A6400 and Sony A9.